Besides the cosy, maritime decor, the first thing I noticed when entering the room was the view over the rough harbour. A mixture of construction site, modernly built housing, cruise ships, and water is what meets the eye and makes you want to stand by the window for hours simply observing the being of what is probably Hamburg's most known landmark. Turning the attention back to the room the dark blue colors make you feel at ease instantly. The room has been decorated with a great love of details, and when looking around you will notice how the life you just observed outside has been brought inside as well. Dark tones, maritime objects combined with a twist of humor (note the naughty cushion quotes) makes the room a complete experience. Do I even have to mention how comfy the bed is? 25Hours impresses you the minute you walk in. We were greeted very nicely by the staff, and I noticed that all staff were wearing name tags with their first name on it. This is very unusual in Germany, but the use of first names instantly gives you a sense of home - especially when coming from Denmark, where this is common. Shortly after our arrival we went on a stroll through the hotel. Again, the hotel impresses on all parameters. The ground floor with the reception has a built in shop, where you get all kind of maritime inspired souvenirs. Also you can buy the soap disposed on the rooms. 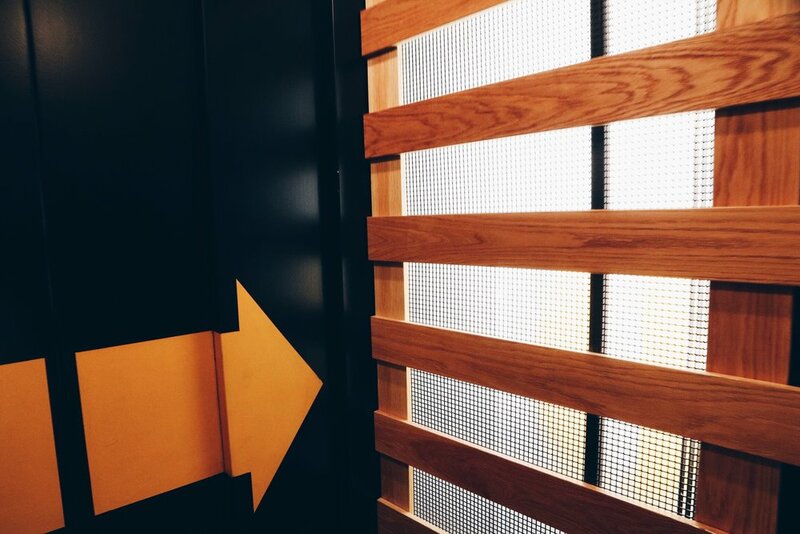 The second floor invites you to stick around. You instantly want to grab a book, order a cup of coffee and sit down. 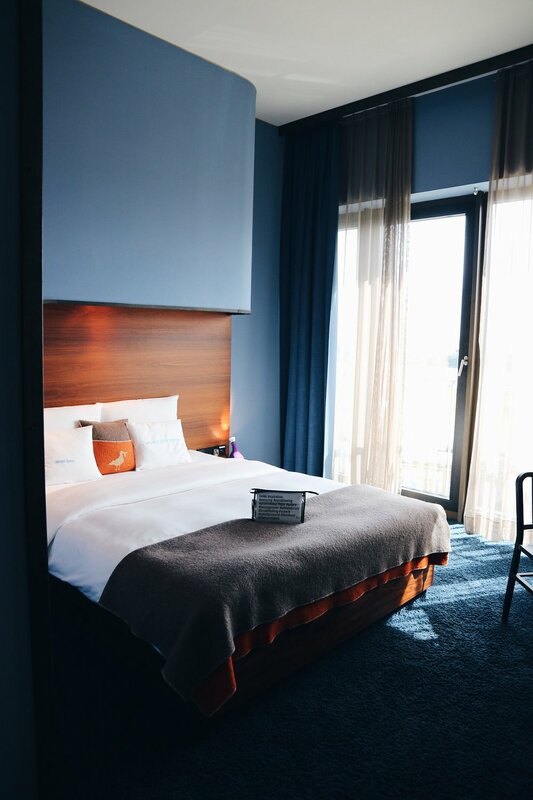 Everything has been created with so much love to detail, and it becomes clear the 25Hours wants their guest to make use of the common areas, and not just hide in their rooms. I mean, there is even a vinyl and cigar room for the manly guests. Or if you are more into Sauna with a view then the rebuilt Hapaq Lloyd container fulfills that ultimate Sauna experience. Besides the cool work- & hangout space, one of the highlights is definitely the sauna built inside an old Hapag Lloyd container. It is rough, it is cool and I wish I had one of those in my backyard. After being in the sauna, you can relax in one of the rooftop chairs with a view over the harbour. I hope you enjoyed the hotel tour, and if you should ever visit the hotel, I would love to hear your thoughts.